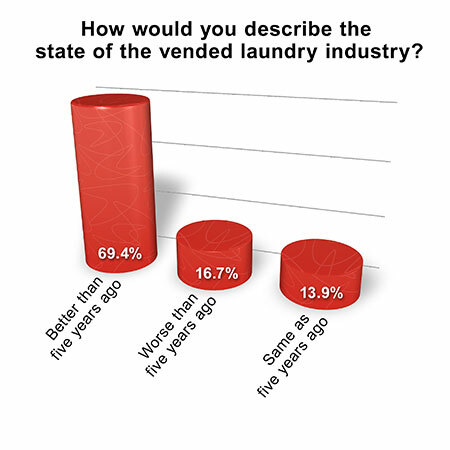 CHICAGO — The vended laundry industry is in a better state than it was five years ago, says the majority of coin laundry owners polled in this quarter’s American Coin-Op Your Views survey. 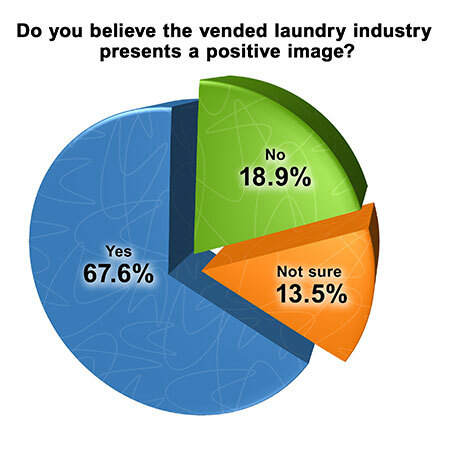 As for projecting a positive image, a similar majority—67.6%—thinks the industry does a good job of that. Nearly 19% believe the industry doesn’t present a positive image, and 13.5% are unsure. The survey asked coin laundry owners to name at least one way that the average store owner can seek improvements in five areas: equipment, store condition, marketing and promotions, customer relations, and planning for growth. As for store condition, keeping the premises clean was, without a doubt, the comment offered by most respondents. Others related to having good lighting and decorating for the seasons. As for customer service, having a regular presence in your store, communicating with customers and treating people like you would want to be treated were common suggestions. Hiring good attendants who are well-trained and present a good appearance was another theme. While American Coin-Op’s Your Views survey presents a snapshot of store owners’ viewpoints at a particular moment, it is not scientific. Qualified subscribers to American Coin-Op e-mail blasts are invited to participate anonymously in a quarterly industry survey.